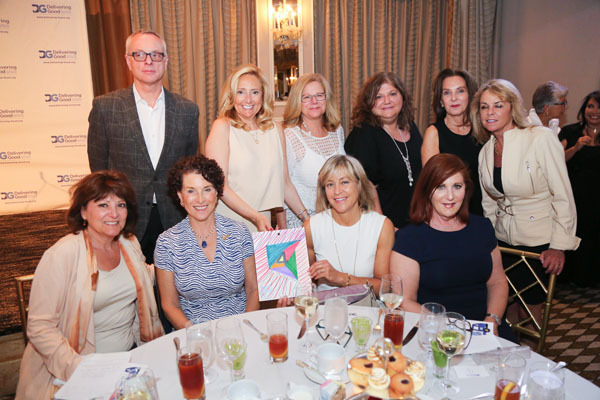 Delivering Good welcomed executives and personalities from the children’s, fashion, home and related industries at its 12th annual Women of Inspiration Luncheon. The charity, headed by Lisa Gurwitch, President and CEO, and Allan Ellinger, Chairman of the Board of Directors, has donated $1.6 billion in new apparel and goods to children and adults in need over the past 33 years. This year’s annual luncheon celebrated the accomplishments and philanthropic achievements of the following three exceptional women: Carole Hochman, Chief Executive Officer, Chief Creative Officer, Director, Chairwoman of Naked Brands, Pam Kaufman, President of Viacom/Nickelodeon Global Consumer Product, and Taryn Rose, MD, Founder and Strategic Advisor of Taryn Rose. The afternoon focused on inspiring and empowering women with key remarks from Jodi Kantor, Pulitzer prize-winning investigative reporter for The New York Times and best-selling author. This was a particularly timely theme given the height of today’s #metoo moment. Designer Stan Herman, Host for the afternoon, engaged luncheon attendees with anecdotal stories from his experiences working in the fashion industry. Upon accepting their awards, each honoree recounted their reasons for giving back to help others and why doing so is a priority. 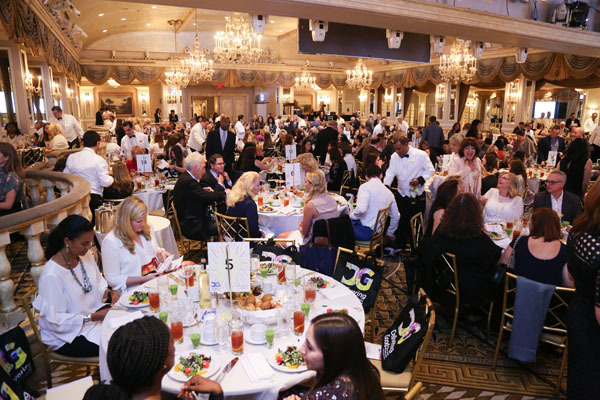 The Women of Inspiration luncheon, which took place at the Pierre Hotel in New York City, surpassed previous records with attendance of over 420 guests and raising more than $450,000 surpassing the annual goal. 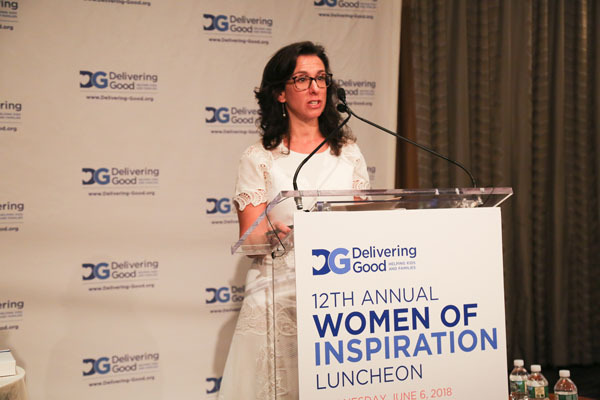 “It is an honor to recognize this year’s women of inspiration honorees for their exemplary leadership and commitment to helping Delivering Good continue its mission of helping people affected by poverty and natural disaster,” said Lisa Gurwitch, President & CEO of Delivering Good. 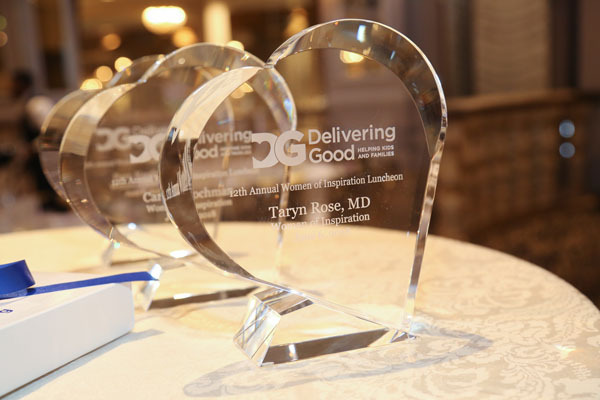 Delivering Good Luncheon Co-Chairs and Board members Karen Bromley and Carole Postal expressed their immense gratitude and thanked the women and men who gathered in the room to help support the mission of Delivering Good. 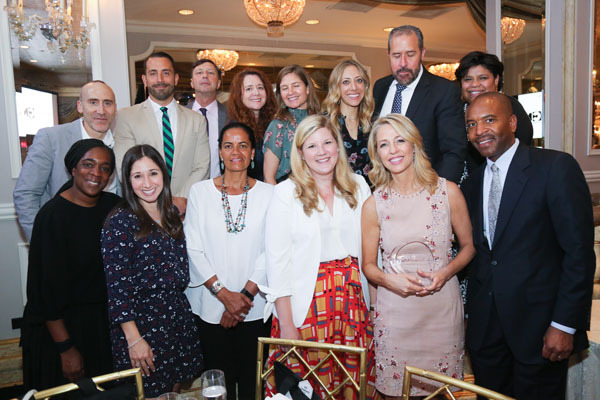 “We look forward to bringing industry leaders and influencers together again to celebrate the inspiration, innovation and leadership of women, and to continue our work of helping everyone affected by poverty and natural disaster,” said Lauren Barnett, Delivering Good’s Director of Development. Delivering Good, Inc. (formerly K.I.D.S./Fashion Delivers) is a 501(c)(3) nonprofit, and the charity of choice for new product donations made by hundreds of companies in the fashion, home and children’s industries. Donating new merchandise provides these companies with a simple and effective way to help millions of kids, adults and families facing poverty and disaster. Since 1985, over $1.6 billion of donated product has been distributed through our network of community partners. Follow Delivering Good on social media: @DeliveringGood on Facebook, Twitter and Instagram. Find out more online at http://www.delivering-good.org.